Allergies always lead to meeting the chefs! Eating well was always a major part of my family vacations. We didn't ordinarily eat out so having several successive meals in a restaurant was always a real treat for me. Now that I am an adult, when I go on a trip, I try to find good places to eat. Today I will share my favorite restaurant in each park. Epcot is the hardest park to pick a favorite, and the truth is it probably changes every time I spend time thinking about it. As of this moment, my favorite is Le Cellier Steakhouse in the Canada pavilion. I can highly recommend the Canadian Cheddar Cheese Soup, the Filet Mignon and for dessert the Maple Creme Brulee. Check out the menu to see what you might like. Even though Tusker House has become expensive, which means I will visit it much less often, this is my list of favorite restaurants and not restaurants I can afford. Tusker House is a buffet and there is so much good stuff to recommend but do yourself a favor and don't miss the amazing mango chutney. You can find a list of the foods here. My favorite in park restaurant is here, The Hollywood Brown Derby. Grab a Cobb Salad for the appetizer and splurge on the filet of beef. That is some amazingly good eating! Check out the whole menu here. 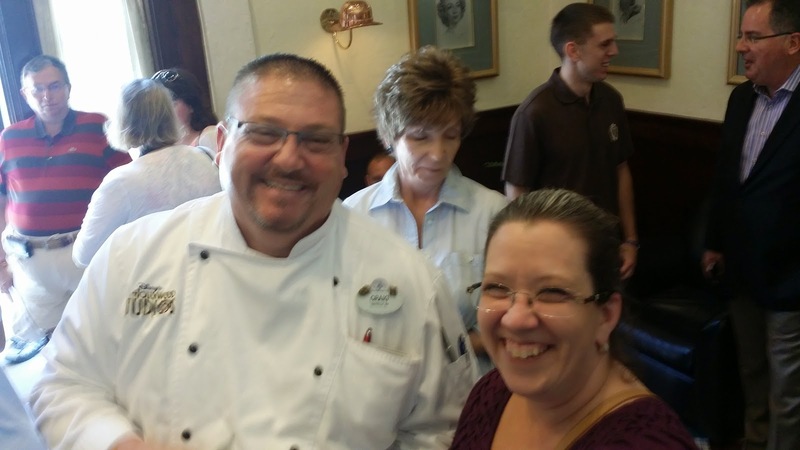 Also, if you really want a special meal, try Dining with an Imagineer. Actually, the worst place choices for places to eat in the parks is in the Magic Kingdom. Often we eat counter service here and plan on eating at a hotel restaurant off the monorail (Ohana's!) That being said, my favorite restaurant is Liberty Tree Tavern. While lunch is order off the menu, dinner is where it is at. You get served 'family style' which means a bunch of food is brought to your table. Think of it like your Thanksgiving dinner brought to you any day of the year! These are my favorites, I would love for you to share yours.